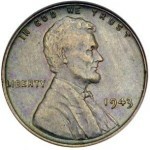 Jack S. writes: I’m sending pictures of a 1793 silver dollar I have. The papers it came with say it’s “America’s First Silver dollar.” Can you tell me how much it is worth? I may want to sell it. Thank you. Your coin is a 1793 Spanish Colonial 8 Reales. 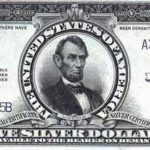 The 8 Reales is often referred to as America’s first silver dollar – and that’s true – technically. It certainly was made in the Americas, but not by the United States. 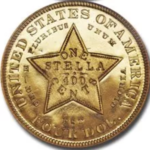 The U.S. would not coin a silver dollar in its own Mint facilities until 1794. In the 18th century, the Spanish 8 Reales and its subsidiary coins were accepted worldwide. Based on the existing European standard, the large silver coins were the currency of choice in the New World and these “pieces of eight” were legal tender in the United States until 1857. Many millions were struck both in Spain and in a variety of South American mints. 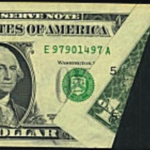 It was at Thomas Jefferson’s suggestion that the 1776 Continental Congress adopted the 8 Reales as the official dollar of the new country. When the U.S. Mint finally did start minting dollars in 1794, they were closely modeled after the weight and size specifications of the 8 Reales. At 27.06 grams, the weight of the 8 Reales remained the same throughout its history, but its fineness varied over the years from .917 to .896. At the same time, its actual silver content went from .7980 oz to .7797 oz. The U.S. silver dollar introduced in 1794 weighed 26.96 grams and had a fineness of .8924 with an actual silver content of .7737 oz. Your 8 Reales was struck at the Mexico City Mint during the reign of Charles the 4th of Spain (1788-1808). The obverse displays an armored bust of Charles surrounded by the date 1793 and the legend: CAROLUS IIII DEI. GRATIA (Charles the 4th, by the Grace of G-d. The reverse shows the Pillars of Hercules surrounding the crowned shield of the King of Spain. The legend around reads: HISPAN.ET.IND.REX. M°. 8R. F.M. 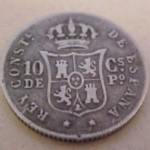 (King of Spain and the Indies M° [Mexico City Mint] 8R [the denomination], F.M. [the initials of the assayers]). Value: Approx $75-$100. Who were the assayers FF at the Mexico mint in 1782 and what years were they there?